September 3, 2014 k3fitLeave a Comment on September 2014 Newsletter! School is back summer is winding down, football is starting leaves will be changing soon. I love the start of fall it feels like a fresh new beginning for some reason. I hate to see the summer go but the change into fall is definitely one season I enjoy. Speaking of changes what changes are happening in your life with the start of fall? No better time than the present to make health changes! This month I want to really focus on nutrition and exactly why people choose to eat healthy….as you can see from the visual picture! What are your reasons? For me personally I eat healthy for life because good fresh food gives me unlimited energy, focus, helps with my athletic performance and contributes to body composition. The list is endless for me. 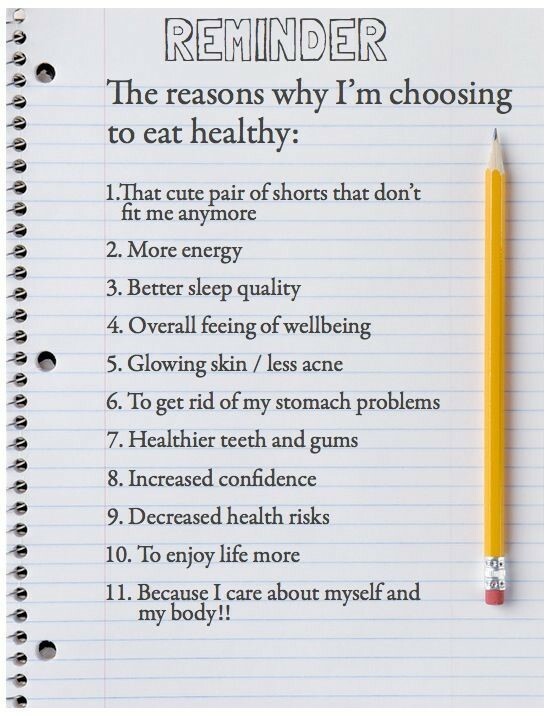 I choose to eat foods that LOVE my body back, simple as that! On a persona professional note, I am currently working towards a certificate to be certified as an exercise and nutrition advisor, this will only help me take my nutrition and meal planning knowledge to the next level to help clients. I am always working towards something to keep up with the latest information to help my clients reach their full potential and get the most education possible! I hope to see you at a group session soon! Join in anytime to help motivate and get motivated by working out with others in a fun atmosphere, beginner or advanced give it a try don’t be shy! Check out fitnessyoucanlivewith.com for rates, recipes and more! Also follow Fitness You Can Live With on Facebook and Instagram to get your daily dose of motivation, nutrition and more! Previous Stayin’ Fit: Traveling Tips! Next WHY WE NEED TO EAT MORE VEGETABLES!